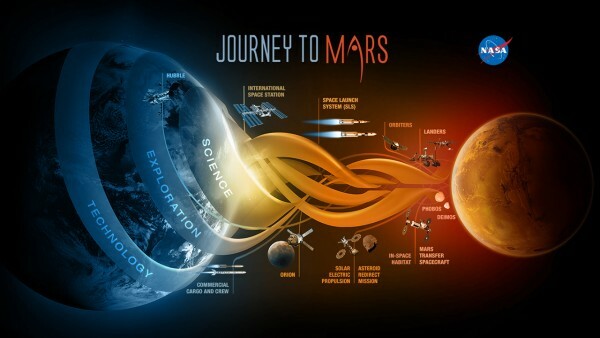 How Seriously Should We Take the Mars One Mission? Parts of it might come off sounding like a napkin draft of an old Robert Heinlein novel – the daring mission by one Netherlands-based non-profit group to colonize Mars. 25 participants in all – chosen from all walks of life, across the world, out of a panel of 3,500 different applicants. Those chosen for this mission will never see Earth again, living out their lives on the Red Planet in what Mars One hopes to be a permanent settlement. So how plausible is this scenario? Mars One is actually somewhat proud of the description “science fiction made real – as they narrow down their list from the top 100 finalists. They plan to send four people to Mars every two years, an endeavor they hope to finance by producing a reality show edited from tapes of the colonists’ day to day lives. Ultimately, it seems as though the mission is best suited for a reality show – the limitations of recording media are probably among the lesser concerns of the mission, which has had a great deal of difficulty gaining appreciation among scientists, and actually quite a few detractors. Last fall, MIT did an analysis of the mission’s logistics. Provided that the organization is rightly equipped with effective technology and successful at their first launch in the year 2024, there are still a number of concerns – limited supplies, as colonists will only take what they can carry aboard the capsule, being confined to small spaces throughout the long voyage, as well as a lack of proper ventilation, making it unlikely that any settlement will last much longer than 68 days, as the planet is low on natural resources – even if vegetation were to grow, the amount of oxygen it gives off could lead to explosions, and there is currently no way to vent oxygen while also venting nitrogen. The date of the mission is set for 2024, which if successful would reach the red planet almost a decade before NASA’s planned mission to Mars. The trouble is that Mars One wants to do it at a fraction of their budget. The project’s budget would likely have to be in the ball park of $100 billion, not the six billion that the non-profit has proposed, and that would be even with the rather impressive team assembled by Mars One CEO Bas Lansdorp which includes space architect Kristian von Bengtson and even Dr. Norbert Kraft, a former psychiatrist for NASA who has studied the psychological aspect of space travel. Now, Anu Ojha OBE, who serves as director of the UK National Space Academy Programme and also at Britain’s National Space Centre, has added to the vocal opposition, warning the 100 finalists that Mars One may never actually leave the ground. So far, Mars One has received $759,816 this year through crowdfunding campaigns and other donations, and hope to reach more through private contracts with production companies such as Endemol, who produced the series Big Brother. Endemol later pulled out when they failed to negotiate a contract. Mars One hopes to send several unmanned rockets to Mars, beginning in 2018, ahead of the first passengers, in order to locate an ideal spot for a landing base. “In terms of technology, it’s pushing the absolute boundaries and there seems to be a lot of technological naivety on the part of the people running it”, Ojha said. While such achievements as the moon landing were significant for the new doors they opened with technology and scientific discoveries, Mars One is not so much developing its own technology, but rather making use of the latest innovations from NASA, ESA, Boeing, Lockheed Martin and SpaceX. Bas Lansdorp has acknowledged that there are challenges ahead, as when he refuted the MIT report, but said that what the organization has is an optimum schedule, saying that any major flaws with the launch would send it back two years in order to ensure the safety of all involved. One must wonder, however, if the real bellwether for Lansdorp’s project is safety and not public interest in the expedition.